Bossy Italian Wife : Bossy Italian Book Review: The Willpower Instinct by Kelly McGonigal, Ph.D.
Bossy Italian Book Review: The Willpower Instinct by Kelly McGonigal, Ph.D. 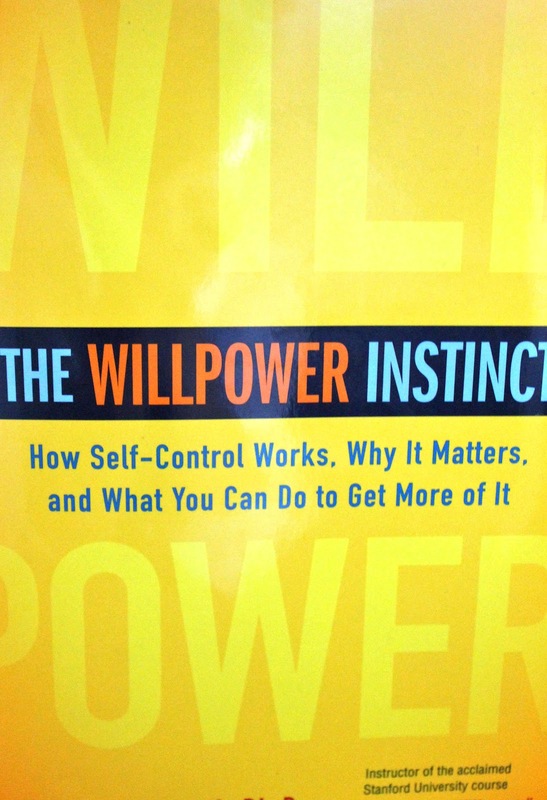 When I was getting ready to read this book, I wasn't entirely sure I understood willpower. The first thing I learned? I didn't really understand willpower. 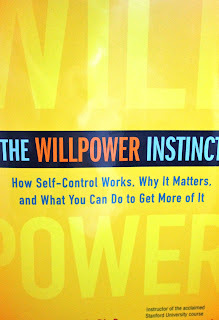 The Willpower Instinct really broadened my definition and understanding of what willpower actually is. Willpower is more complex than I would have imagined. The ways in which in fail at it, therefore, are also complex and mostly because we just don't have a working blueprint for how it really works. Let's go bad news first and good news last. This is a little departure from my usual book reviewing format, but this book had a lot going on, and I want to give a well-rounded perspective for the potential reader. There were a couple of things I just didn't agree with in the book; one was that the author claimed shamed could be a way to change behavior...I was fresh off of reading Brene Brown's book on shame, and so I know that guilt motivates change--not shame. So that argument should be looked over carefully by the reader. Also? A lot of talk about dieting in this book, which clearly is something some people will relate easily to. Me? I didn't like it so much because it just kept rearing its ugly head and it made me uncomfortable. Lots of great technique in this book! Seriously. And it's meant to be read over a longer period of time (ten weeks, just like the class the author teaches) and so you have time to put into practice everything she is teaching you in the book. There are also a lot of great things you can learn from this book about how you are influenced by the people around you and--some of my favorite tidbits--how marketers and the media are preying upon your brain's instincts that make you indulge. Chocked full of lots of great studies, stories, and examples, there is lots of good "meat" to the story to keep you reading through. I learned that there were ways in which I was succeeding at having better willpower, like for instance, getting the proper amounts of sleep and laying out my gym clothes (to ensure I could get up and get straight to the gym!) There were also ways in which I need to improve: meditate and breathe more. I began putting a lot of the stuff into practice too, and I was surprised. It also debunked a myth that I had in my head. I really didn't believe in the fact that you could "pick up" behavior from the people around you--turns out, I was wrong. You can and do, in fact, tend to mirror the ways in which the people around you behave. That was an eye-opening prospect for me and a VERY good reason to make sure that you surround yourself with people who are a good influence. I definitely recommend this book for people looking to make changes to their thinking and the way they do things in the willpower department. **Bossy Italian Wife was compensated for the opinions expressed in this review by BlogHer as a part of their book review program. However, all opinions expressed are my own. Ya heard? !